Regarding The Blue Drifters Quartet www.BlueDrifters.com, which I’ve led many years, we are offering you something new and refreshing. 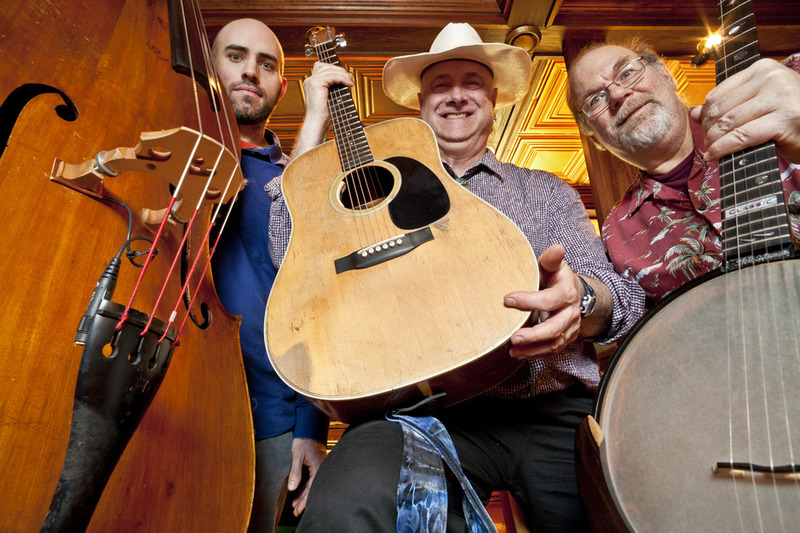 The Blue Drifters are an acoustic cover band, really more like a small orchestra, that provides sophisticated arrangements of well-known Americana. 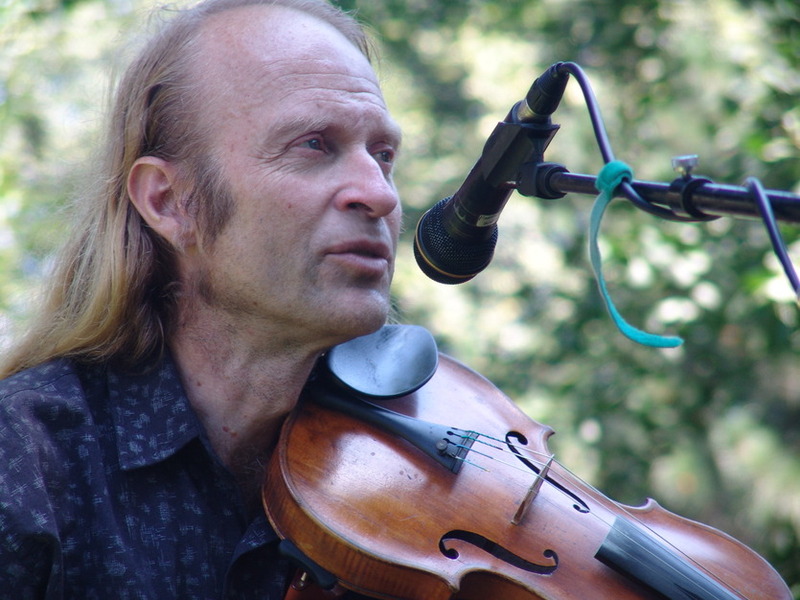 Gary Schulte, the premier jazz violinist in the Midwest, provides an expertise that is very exciting for country and rock tunes. We are a very successful cover dance band, but without electric instruments and drums. We crank up the PA, just not as a loud as a rock band. Phil Nusbaum, originally from New York City, is a banjo virtuoso. He is the voice of KBEM’s Bluegrass Saturday Morning radio program 88.5 FM. 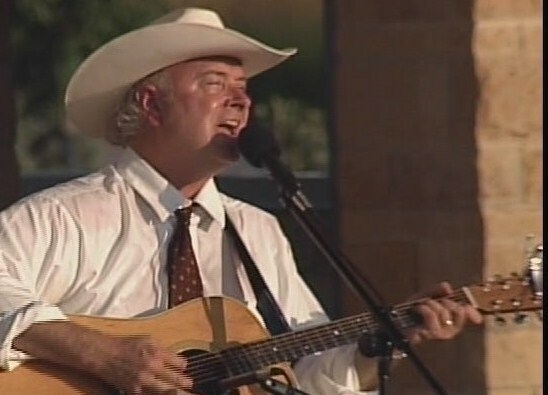 In the duet video, he does a good job improvising a couple of jokes – in addition to the hot pickin’. 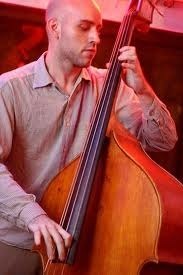 Bassist Andrew Bergman has toured in elite, new country bands and other styles throughout the US and Europe. Originally from Boston, he is here in town as a PhD Candidate in Composition at UM Music. He has an MFA in bass performance from the Amsterdam Conservatory. His soloing is other-worldly. 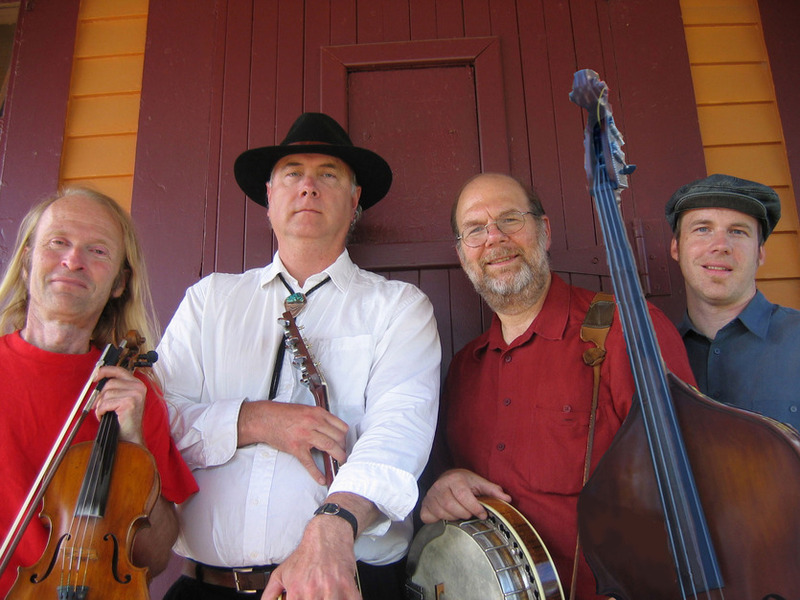 Blue Drifters Acoustic Quartet’s video shows repertoire consisting of a wide variety of 60's-90's hits, blues, jazz, Cajun, Irish and vintage and new country. 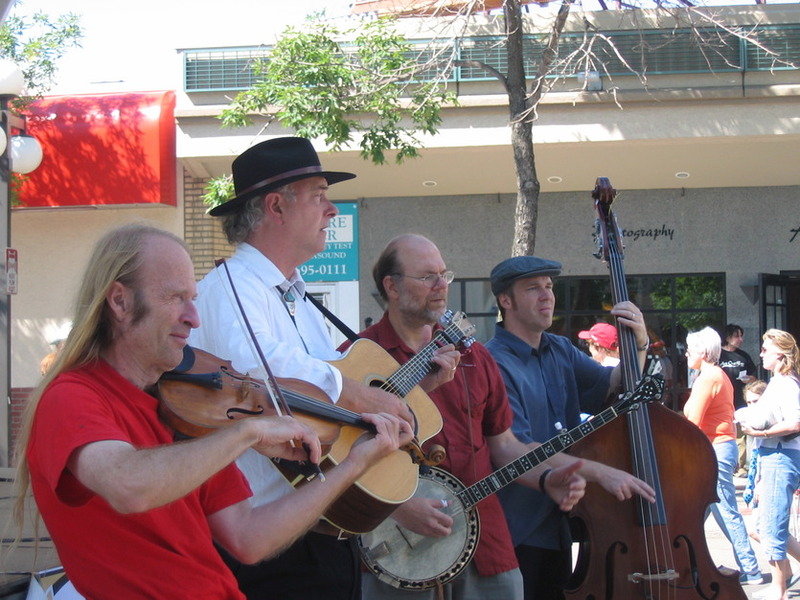 We are expert jazz and bluegrass players. The video shows our versatility and expertise. 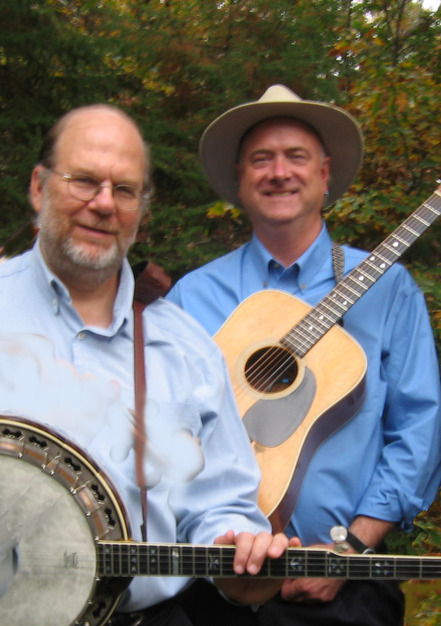 "Phil Nusbaum and Steve Howard brought their own inimitable bluegrass based music to the ITOW Veterans Museum on Sunday, July 8th. 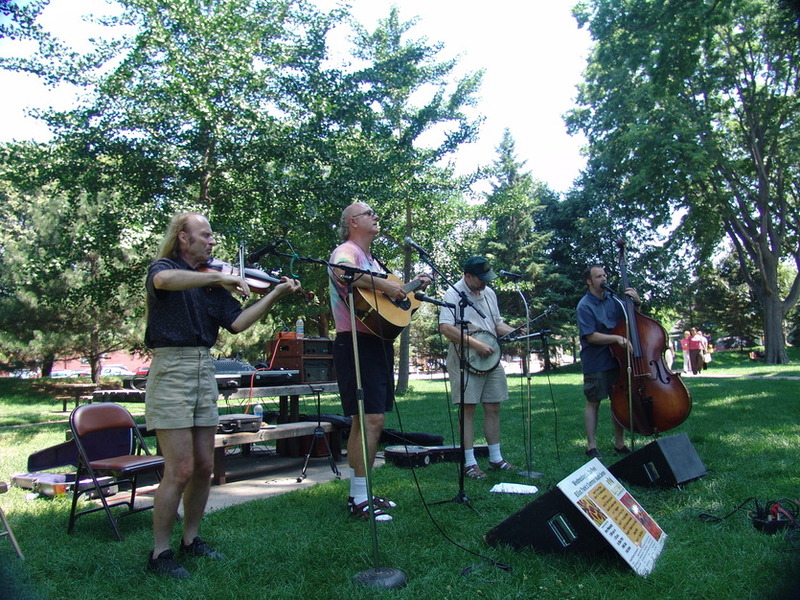 The program, called “All About Bluegrass” included some great tunes as well as fascinating facts about a style of music that is uniquely American. 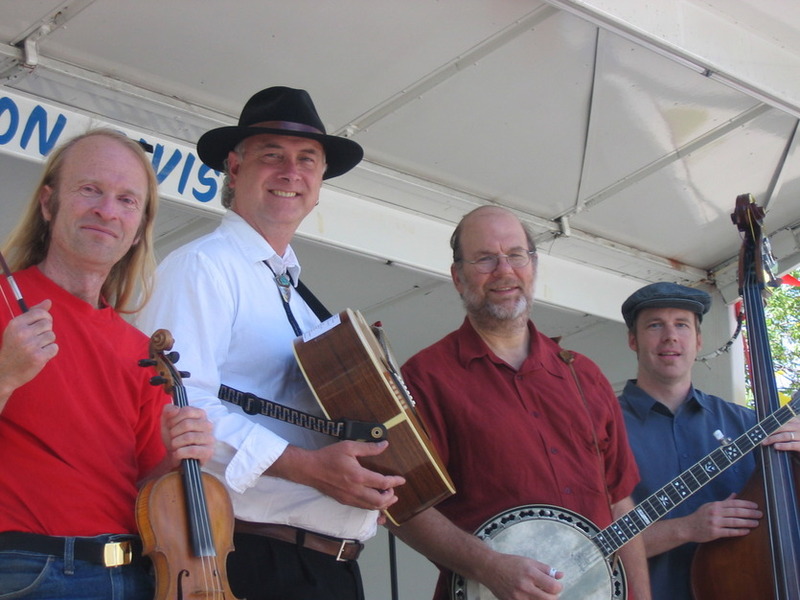 Banjo player, Phil Nusbaum, is the host of The Bluegrass Review, a one-hour weekly radio program that airs on many public, commercial and internet radio stations. Steve Howard has been performing American roots music on his acoustic guitar for over three decades and is a walking encyclopedia of blues, jazz, folk and bluegrass music. The happy audience at the ITOW Veterans Museum enjoyed both the music and the education. We hope to see them again soon." – Lina Belar, Director, Vets Museum, Perham, MN, 2012.
Review of "Easy to Get Lost in the World", Inside Bluegrass, March 2010. 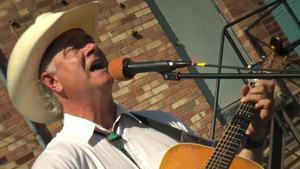 "Steve Howard has been performing American roots music for over three decades. For those of you who know him, you would probably agree with me that he is a walking encyclopedia of blues, jazz, folk and bluegrass music. If you ever have a chance to jam with him (something I would recommend) you’ll probably be playing tunes from Bill Monroe, Robert Johnson, and Duke Ellington, all in one session. Steve’s latest Album, Easyto Get Lost in the Worldsums up a lifetime of musical exploration. Listening to the project is a bit like taking a class in American folk music. The journey starts with a visit to the Appalachian Mountains, winds to Nashvillefor some classic country, and ends up in New York City with a jazz standard. The opening track “Salty Dog Blues” does a good job of letting the listener know where Steve and his ensemble are coming from. Rather than create another Bluegrass Album Band version of the tune, Steve has created more of an old-timey sound adding extra measures to give it a “crooked” feel. 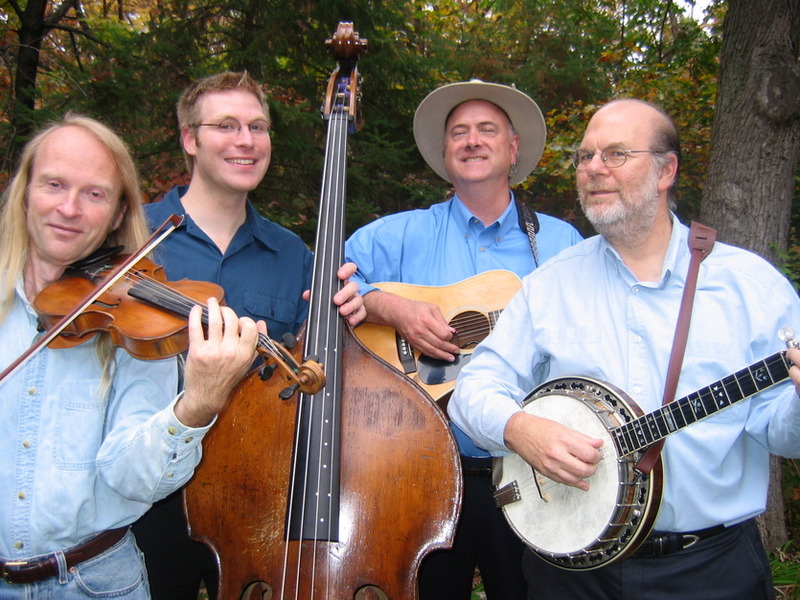 The end result is a fresh sound that embraces Steve’s passion for Appalachian traditions. “A Fool Such as I” has a classic mournful sound that highlights Steve’s considerable vocal talent. His phrasing is reminiscent of country greats Webb Pierce and Lefty Frizzell. A challenging song to be sure, but Steve pulls it off effortlessly. “Sweet Chariot Swing Low” is a beautifully presented a cappella that captures the classic four-part gospel harmony. The group manages to hold pitch and tempo throughout the tune maintaining energy from beginning to end. Musicians that have been playing as long as Steve Howard often have signature tunes. I’ve have to say that for Steve, that tune is Merle Travis’ “Lost John.” After playing this one live for the past few decades, he has successfully made this iconic tune his own. In fact, I can’t really imagine any other version of it at this point, and for me, that’s saying a lot. The tune works perfectly with Steve’s percussive guitar style and the phrasing fits Steve’s voice like an old glove. 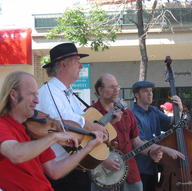 . ."
Within one hour drive of St. Louis Park, MN The Blue Drifters Acoustic Quartet can provide three-set reception dance entertainment. With the price including the duet of guitar, voice and violin for the preceding ceremony (as needed) for $850. 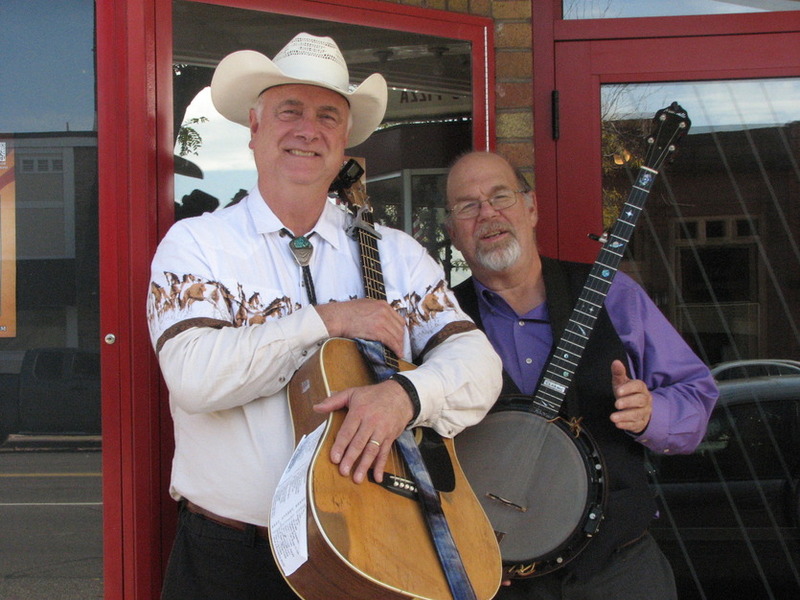 Our repertoire is mostly recognizable popular rock, jazz, bluegrass, vintage and contemporary country arrangments. 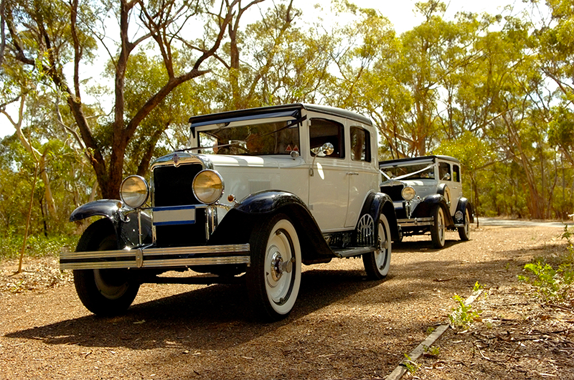 During ceremony can provide PA for Minister and wedding party. Clients should book as far in advance as possible, which protects the date and provides a great deal of peace of mind. For reception, four sets of 45 min. each is the maximum. We usually, but not always, provide ceremony music with myself on guitar and voice, and fiddler. The other two players will set up the reception PA, which is more elaborate while the ceremony and perhaps cocktail hour transpire. Therefore, with four-set reception and one hour ceremony it is a five-hour maximum with breaks in between. What music arrangements can you provide? Please telephone or email with any questions, whatsoever.